It’s one thing when the makers of sodas or breakfast cereals tweak their packaging to maximize their profits. But Big Pharma deserves a slap for its practice, newly spotlighted by researchers, of putting out over-sized dosages of cancer fighting drugs. This ensures that $3 billion in already costly drugs get tossed out and wasted each year. 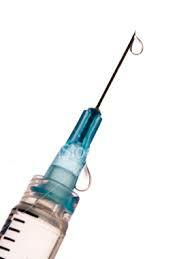 Nurses and physicians have no choice about using jumbo size packages of these injectable drugs. They typically give the shots in offices and clinics, and they toss out unused portions to avoid transmitting one patient’s germs to the next patient. Some of the one-size-fits-all vials, the New York Times said, contain a dose, based on patients’ weight and height, that’s suitable for an NFL linebacker or an NBA forward. In Europe, where regulators more aggressively oversee drugs, companies offer different sizes of packages for cancer meds, the Times noted. Although researchers focused on cancer medications, the paper pointed out that a leading treatment for arthritis racks up $4.3 billion in annual sales, including an estimated $500 million spent on discarded excess doses. The waste and inefficiency by Big Pharma with dodgy dose-sizes is infuriating for so many reasons. As I’ve written, Americans already face daunting challenges from the dual banes of drugs that are skyrocketing in price and increasingly in short supply. With cancer, researchers, at the same time, are pushing investigative horizons and their findings are transforming care for a once lethal disease. Overall, cancer remains one of the top killers each year of Americans. But many types of cancer now respond to drug and other therapies, and the disease has become a chronic condition for them. A key element in cancer care now focuses on experts determining which types of the disease are aggressive, deadly, and demand intensive and expensive treatment; and which, partly as product of our longer lives and the cancers’ own nature, occur late, may be slow growing, and require watching and waiting. A major scientific group has just weighed in on the complexity of ovarian cancer. The National Academies of Sciences, Engineering, and Medicine expressed surprise at gaps in knowledge about a condition which 21,000 U.S. women will be diagnosed with this year and that will kill 14,000. The group said Americans must better understand that ovarian cancer seems to a group of conditions, not just a single cancer. It seems to start in many different areas besides the organ for which it is commonly named. By looking at the disease differently, researchers may be able to better detect it and treat it; it’s hard to do so now.